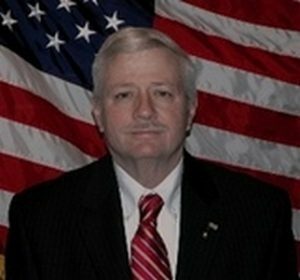 Sheriff Frederick W. Brown is a lifelong resident of Hunterdon County. After graduating from Hunterdon Central Regional High School he served for seven years in the US Naval Reserve. He was hired as a Patrolman with the Raritan Township Police Department. During his thirty one years with Raritan Township he worked his way up thru the ranks and served seven years as Chief of Police. He currently lives with his wife Pamela in Alexandria Township. He served on the Raritan Township Planning Board for many years. He was also the Emergency Management Coordinator for Raritan Township. He is a member and past President of the Flemington Rotary, a member and past President of the Hunterdon County Association of Chiefs of Police, a member of the State Chiefs Association. He is a life member of the N.R.A. He is currently on the Board of Directors for Hunterdon Drug Awareness, and Hunterdon Prevention Resources. He is also a member of the Sheriffs Association of New Jersey, the National Sheriffs’ Association and the Constitutional Officers Association of New Jersey. In his first political endeavor he was elected Hunterdon County Sheriff in 2010. He intends to “do more with less” and to have the Sheriff’s Office be known for helping other agencies and the public.